The judgment in the string of writ petitions seeking an independent probe into the death of CBI special judge B. H. Loya is scheduled to be pronounced on Thursday morning by the Supreme Court bench of Chief Justice Dipak Misra, Justice D. Y. Chandrachud and Justice A. M. Khanwilkar. The bench had reserved its verdict on March 16. After initially being placed before a bench of Justices Arun Mishra and Mohan M. Shantanagoudar, the petitions were listed for hearing before the bench headed by Chief Justice Misra. The bench had directed the transfer to itself of the similar writ petitions by the Bombay Lawyers’ Association and one Suryakant Lodge pending before the Bombay High Court, besides ordering the Bombay High Court as well as all other High Courts to not entertain any petitions where the fact in issue is identical to the present petitions. 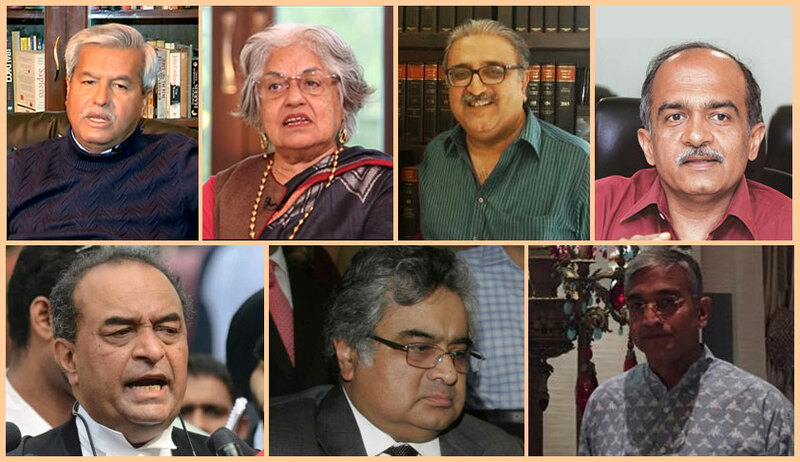 Senior Counsel Dushyant Dave, Indira Jaising and V. Giri had advanced submissions on behalf of the Bombay Lawyers’ Association, an intervenor and Congress leader Tehseen Poonawalla respectively in the course of the eventful hearing. Ms. Jaising had also prayed that the register of Ravi Bhavan, the ECG report if any performed and the complete statement of registrar R. Rathi in which three sentences are missing be filed. Mr. Dave had exclaimed, “I will be filing an application under Order 9 of the Supreme Court Rules to seek permission to cross examine these judicial officers. There is a judgment to that effect”. Senior Counsel Pallav Sisodia, representing Mumbai based journalist Bandhuraj Sambhaji Lone, had concluded a brief submission, asserting, “This exercise is like an independent inquiry as Your Lordships are seeing everything”. Ms. Jaising had commenced her arguments with the remark, “If Mr. Sisodia’s client did not want an inquiry, then why was the petition filed?”, which had incited a war of words between the counsel. “Are you trying to say I have a motive? Fine”, Ms. Jaising had retorted. Mr. Rohatgi had reiterated the sequence of events leading to the death by heart attack of judge Loya, adding, “Attempts at resuscitation were made at the Meditrina Hospital upon which judge Loya was pronounced as having been brought dead. The post mortem was directed as he had not died under the care of the hospital. Four judicial officers have confirmed this by a letter on their own letterheads, and in one case, in his own hand. These are letters written of their own accord and not in an interrogation. The High Court judges who reached the hospital at around 7 AM on the date of the death have also affirmed the same. The post mortem was conducted at 10 AM at a government hospital, after which the body was sent to judge Loya’s hometown. It is all contemporaneous”. Mr. Dave had remarked, “In the past also, mysterious circumstances have surrounded judges who have stood in the path of the respondents, like Justice Patel in respect of the Ishrat Jahan encounter, while those who have acted in accordance with them have been rewarded”, which was followed by a war of words between himself and the counsel for the respondents. Thereupon, Advocate Prashant Bhushan had commenced his arguments on behalf of the CPIL. Responding to Advocate Prashant Bhushan’s submission, made in reliance on an article dated February 11 published in the Caravan citing the observations of renowned forensic expert Dr. R. K. Sharma (formerly the Head of Forensics Department at the AIIMS, New Delhi) that he had rendered upon examination of judge Loya’s medical reports, Mr. Rohatgi had clarified, “the Nagpur Police, after the appearance of the February 11 article in the Caravan, wherein Dr. Sharma has been quoted as opining that the accidental death could not be attributed to a heart attack, has addressed a letter dated February 14 to the AIIMS, New Delhi. Replying to the said letter, AIIMS has conveyed that upon confirmation with Dr. Sharma, he has stated that he has been ‘grossly misquoted on the death of judge Loya by the Caravan’, that the ‘conclusions (cited in the article) are imaginary, that the ‘discussion was general’ and that his opinion as quoted in the article does not subscribe to the medical reports”.